When I found out there was a tour of Salzburg exploring Austrian beer, my mind conjured less than cultured images of a bar crawl. But as I discovered Salzburg, which has long been regarded as one of Austria’s major tourist destinations, has a long brewing tradition and the Austrian beer tour was set to be a far more sophisticated affair. In a city with a 600-year history of brewing there’s plenty of cultural references and a lot of beer heritage. We started our excursion with a typically Austrian lunch at Die Weisse – a bar, restaurant and brewery in an atmospheric building dating from 1900. Here we met our Austrian beer tour guide Martina Gyuroka, who told us Die Weisse was the first combined brewery and restaurant in the country. 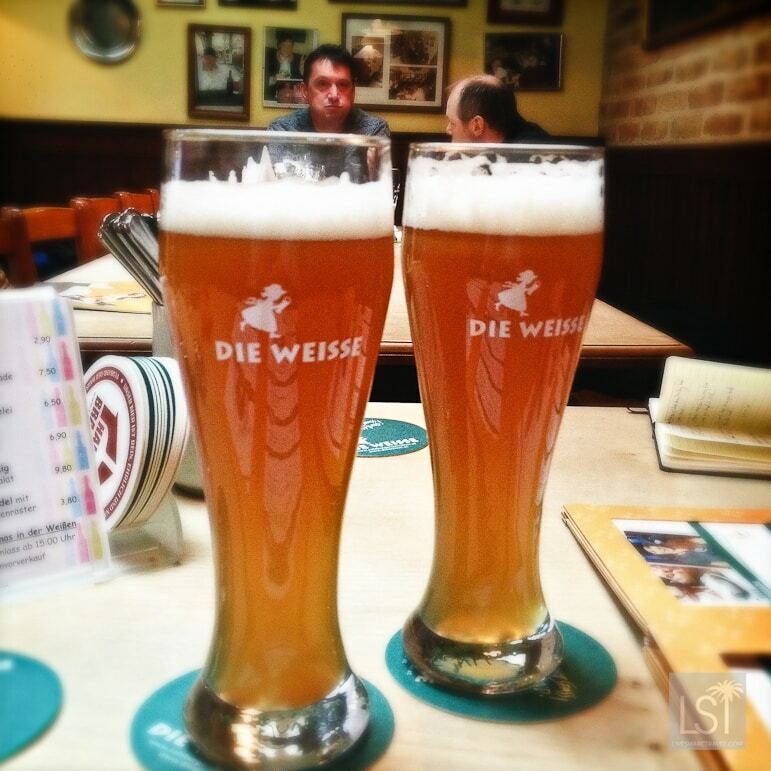 Die Weisse encapsulates Austrian authenticity. This is where locals eat and that is always a good sign, wherever you are. The bar is named after its famous bottle-fermented, white beer which gave a resolute pop as I jimmied the pressurized cap. Now I have drunk a few pints of beer in my time, but I’m no expert, so excuse me if I don’t highlight its tasting notes, but the Die Weisse was a good, strong white. After lunch, Martina led us on a three-hour tour strolling Salzburg’s baroque streets and darting into historic buildings and landmarks. We discovered that the first commercial brewery in the city started in 1374 and that beer was originally only brewed by women. 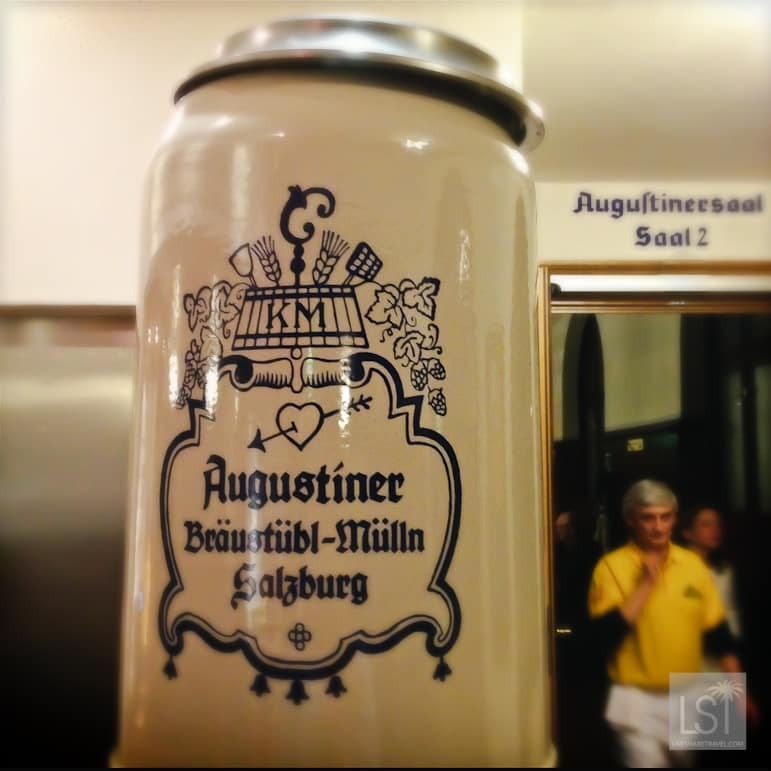 Famous names like Stiegl started brewing in Salzburg in 1492. And the city is home to many other popular brands including Trumer Pils, Edelweiss Weizen and Gusswerk. Martina’s impressive knowledge informed us of dates and iconic city landmarks that all have their origins in Salzburg’s beer history. I was rather surprised as we entered St Sebastian’s cemetery. What on earth could the dead tell us about brewing? A lot, I discovered as we rounded on the grave of one of the masters of beer production, Philippus Aureolus Paracelsus. Paracelsus was a 15th century physician and alchemist and is viewed as one of the founding fathers of Salzburg’s beer industry. 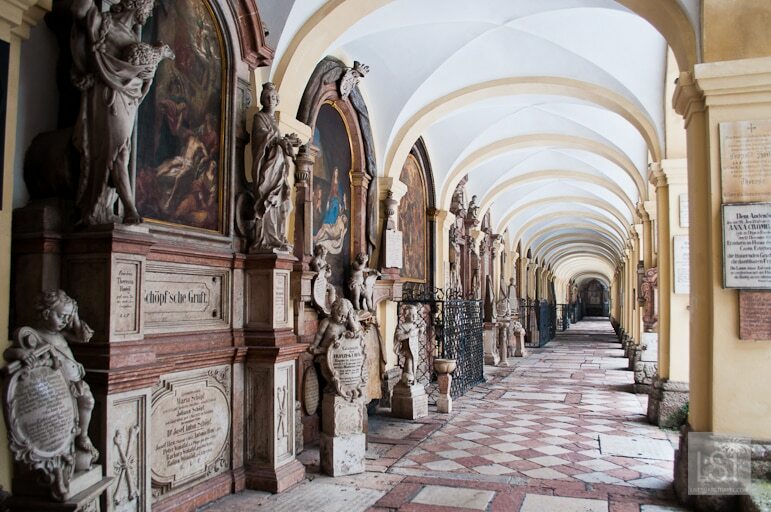 The cemetery is also the final resting place for some of Salzburg’s noble brewers such as Nicholas Schlamm. The tour gave us a potted history of brewing and the way it shaped life in the city, while Martina also enlightened us to many local legends. I wouldn’t like to spoil it for you so I won’t give all the details here. But it’s suffice to say I learnt more about beer production from Martina than I would have imagined possible. Halfway through the tour we stopped off at Zwettler’s Bar in the old town. A cosy nook in the city, with good beer and a friendly atmosphere, it only opened in 1975, as it was the last of Salzburg’s bomb-damaged buildings to be repaired after World War Two. 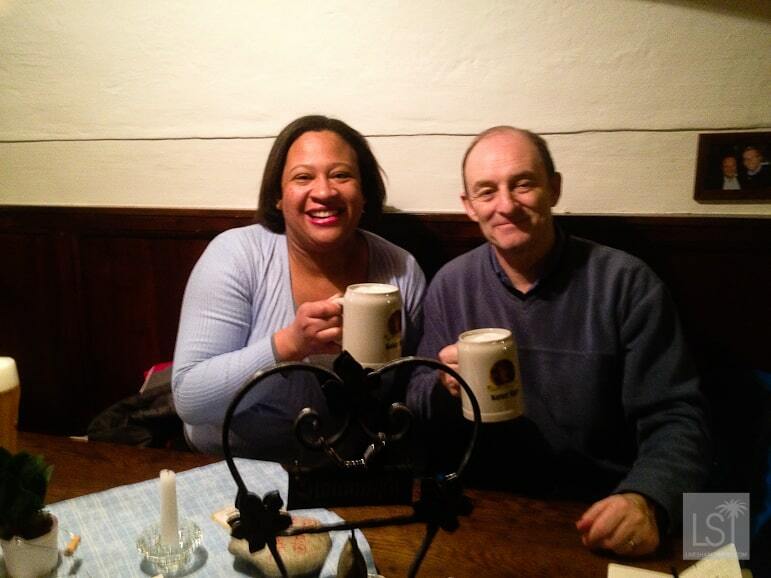 “I have made my hobby my profession,” Martina chortled as we settled in for a tankard of a very traditional Austrian beer, Kaiser Karl. According to Martina, one of America’s Founding Fathers, Benjamin Franklin said: “Beer is living proof that God loves us and wants us to be happy” and I wasn’t about to argue with a man of such historical stature. So as dusk fell we wound our way up the Mönchsberg hill to the charming and vibrant Augustiner Bräu, one of the oldest breweries in Salzburg. 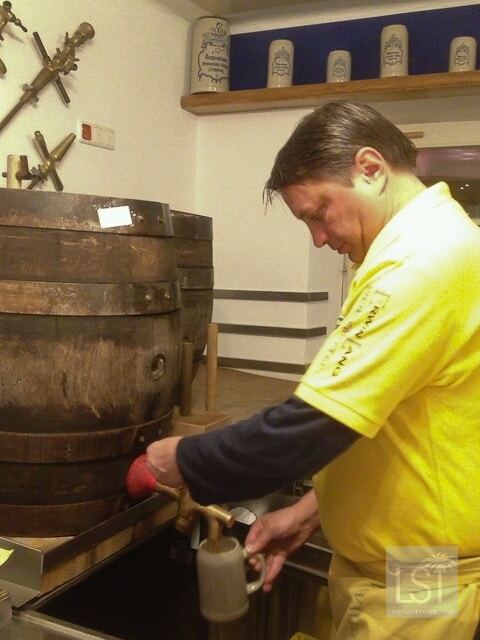 Founded by Augustinian monks in 1621, the brewery produces and serves beer in traditional style – poured from wooden barrels into stone mugs. Augustiner Bräu was packed with locals and visitors enjoying the rustic surrounds, great companionship and welcoming Austrian beer culture. 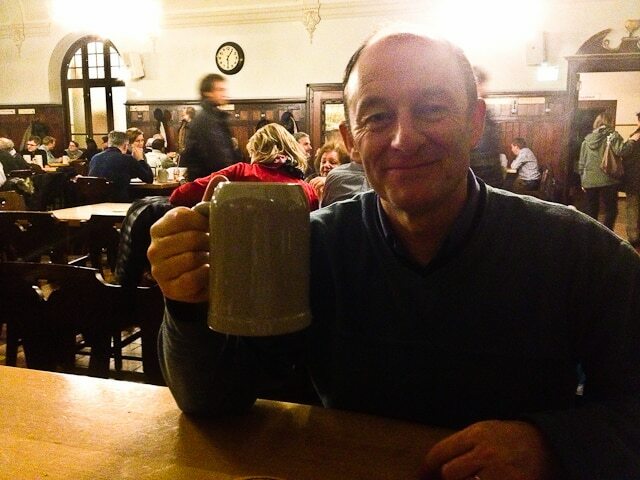 Here local beer drinking clubs meet on a regular basis to set the world to rights over a mug of the brewery’s finest Märzen – an aromatic, earthy beer that seemed rightly aged. 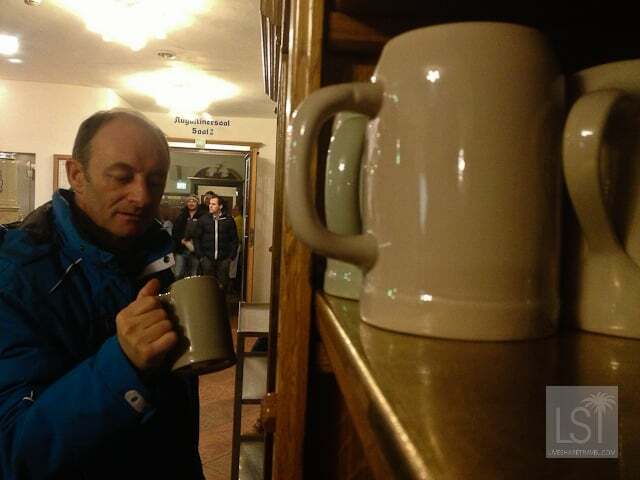 If you’re a regular you can even bring your own mug or tankard and store it in a cupboard – some of the mugs are even handed down from generation to generation. 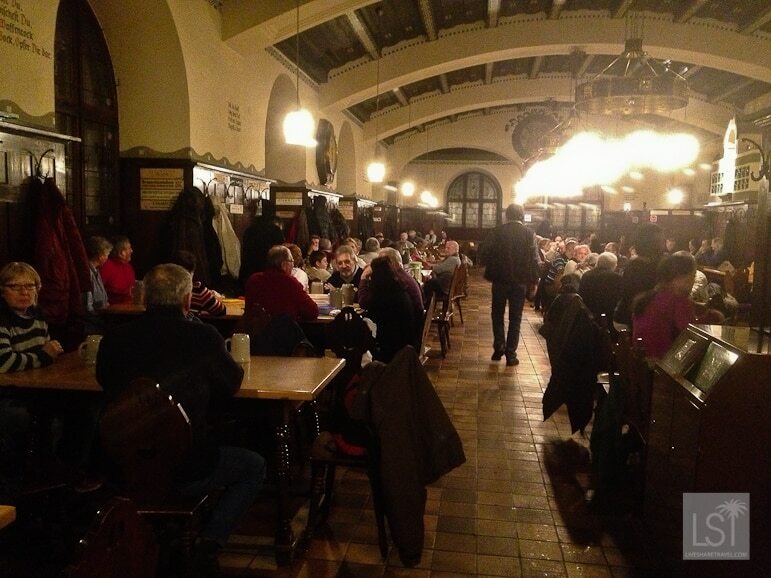 Food too was a central part of the beer culture at the Augustiner Bräu. 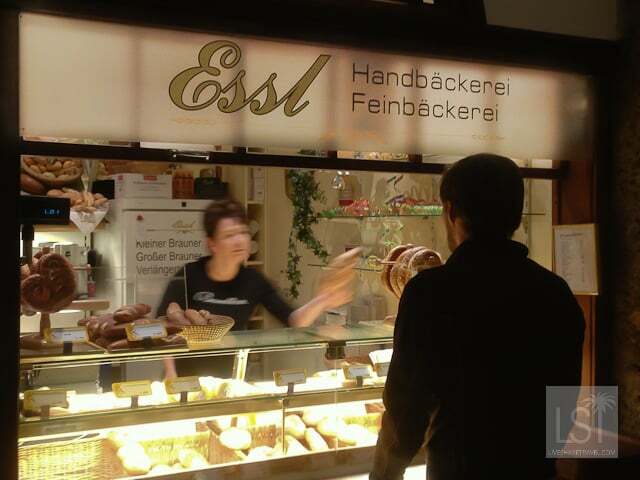 It has a large food hall serving an excellent range of traditional Austrian fare including pork joints, sausages and giant pretzel. Enlightening, as well as refreshing, the Austrian beer tour in Salzburg certainly brought this city to life for me in new and unexpected ways. 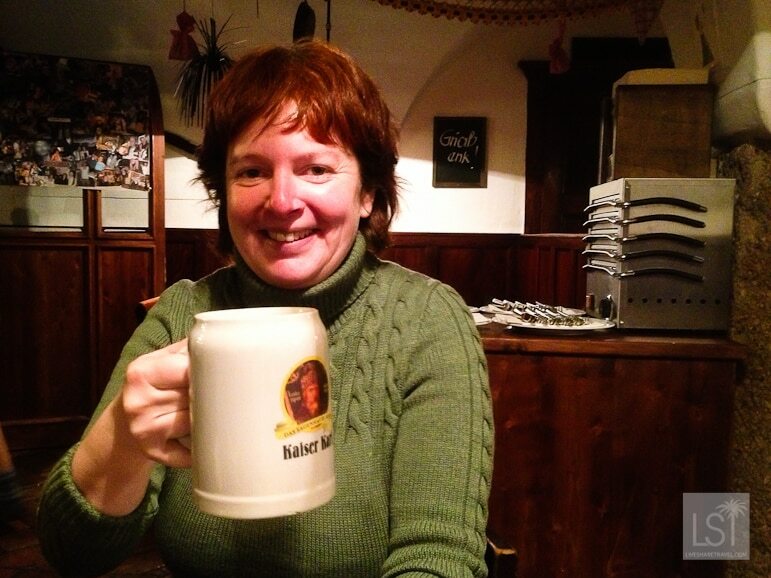 Book the Austrian beer tour with Martina Gyuroka on her website Salzburg Beer Guide or find out more about Salzburg.